Parents and service providers want what’s best for children in the Illinois Early Intervention (EI) Program. Talking to each other openly can help reach that goal. 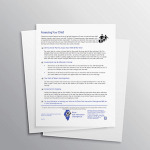 Providers need to know about the child’s routines, communication strengths, and how the child learns. Parents need to know about services and how they will be involved. They may have questions about home visits, types of services, or their child’s development. What are his strengths? Is he usually cooperative? Does he enjoy meeting people? What concerns you about your child? Is her speech delayed? Does she have tantrums? How do your child and you like to learn? Are there activities you can practice with her to promote her development? What would you like your child to learn in the next 6–12 months? Are there things you would like to learn? What is your child’s normal routine? 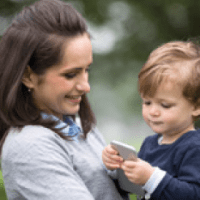 How can you help me get just the services I want for my child? Be sure you understand your rights in choosing services now and how services can be changed later. Discuss the benefits you can expect for your child and family. What is the best way to stay in touch with you? Ask for contact information in case you need to make or cancel an appointment. Find out who you should call if you cannot reach the provider. What is my role during a home visit or related services? 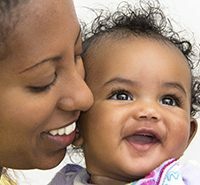 Ask about ways to care for your baby and ask for time to practice while your provider is there. Discuss making time to talk about your child’s problems or successes. Will the information I provide be kept confidential? What are good resources in my community to help me between services or visits? How can I organize all the papers and information I get? When is our next Individualized Family Service Plan (IFSP) meeting? How can I prepare for it? Who can I bring to the meeting? How can I find other parents with the same concerns I have?